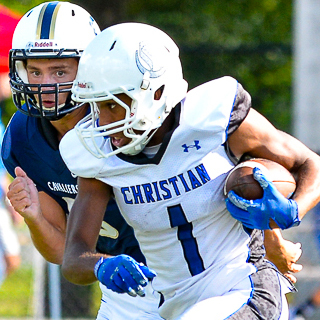 Over the summer many Charlotte Christian students and faculty are continuing their education by participating in a variety of programs, conferences, trips, and internships that will take place locally, around the country, and across the globe. Summaries from their experiences will be posted here throughout the summer. 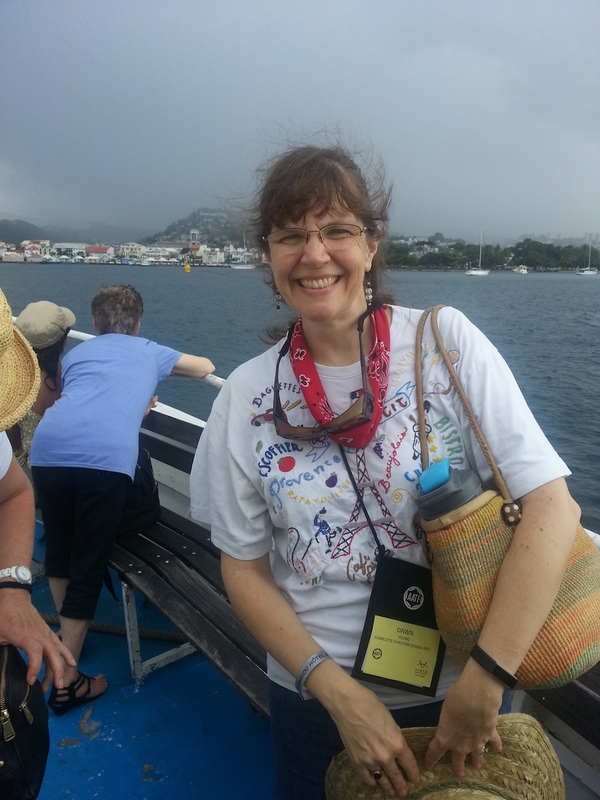 Upper School French Teacher Dawn Young attended the annual convention of American Association of Teachers of French in Martinique, France. Mrs. Young traveled as part of a delegation from North Carolina. 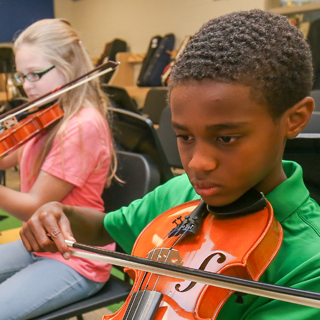 The group was funded primarily by a grant she received from the World Affairs Council to promote international learning among Charlotte area teachers. 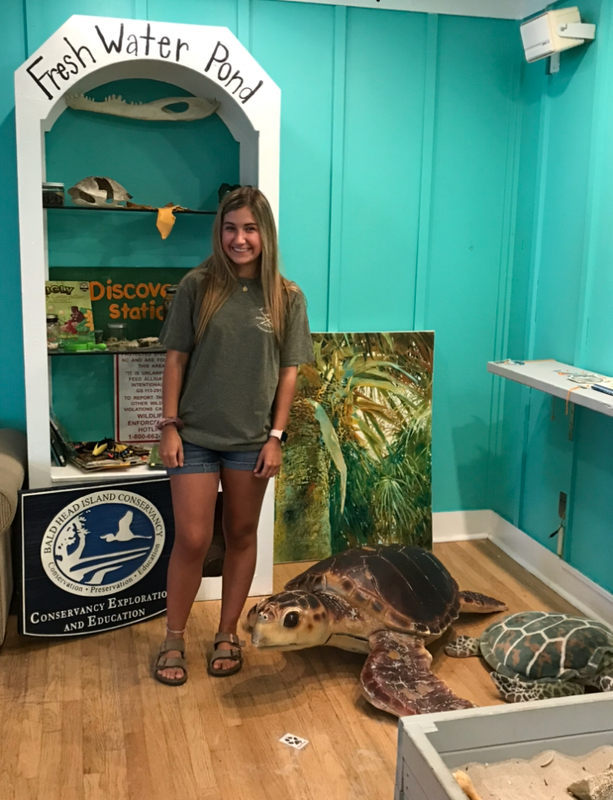 Rising senior Elisabeth Sachtleben volunteered as a camp assistant at the Bald Head Island Turtle Conservancy children’s summer camp. 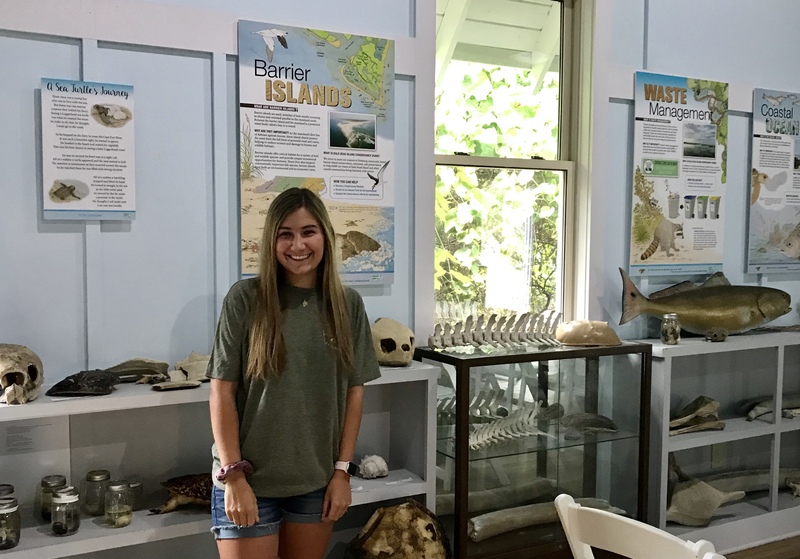 She assisted with arts and crafts projects, participated in hands-on activities and games and joined campers on field trips to several Bald Head Island habitats. Rising senior Christina Boelkins attended the Broyhill Leadership Conference (by Tomorrow's America Foundation) held at Wingate University. 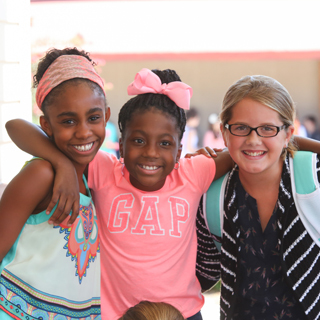 The conference covered topics such as setting goals; becoming a team player; maintaining a positive mental attitude; communicating more effectively; cultivating positive relationships and making sound moral choices. 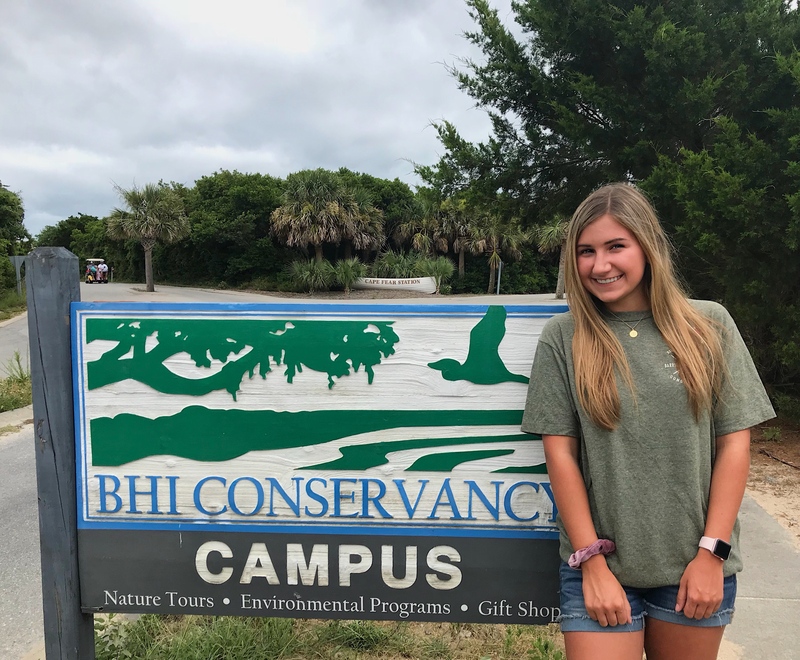 Congratulations to rising junior Alyssa Verruto on earning first place in photography at Camp Carolina Summer Yearbook Workshop hosted by Walsworth Yearbook. Charlotte Christian's 2018-19 yearbook staff attended the workshop to work on the theme, planning and layout of the Accolade. 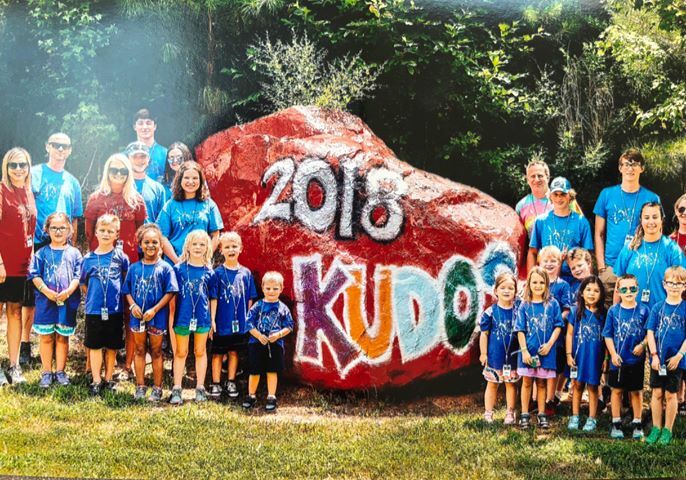 Senior Alyssa Drogan worked on staff as a counselor at Camp KUDOS, a camp for kids with type 1 juvenile diabetes in Rock Hill, S.C.Alyssa attended the camp herself for the past 14 years and transitioned as a counselor this past summer to help 4 and 5-year-old children learn how to manage type 1 diabetes. 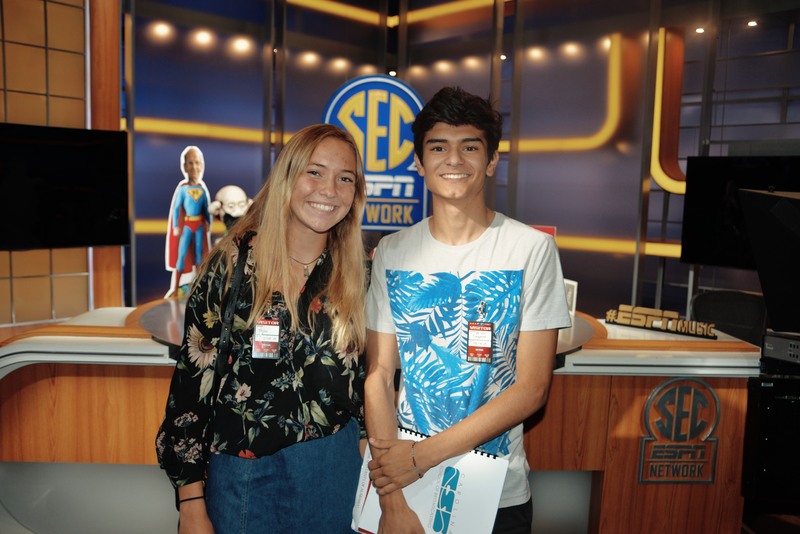 Rising seniors Taylor Holbrooks and Brian Segovia attended a week-long workshop at the Carolina School of Broadcasting. They learned the basics of what it takes to be on-air at a radio station, anchor a TV newscast, work behind the scenes at a broadcast facility, write a script, voice a commercial, capture footage, edit a package, be on-camera and be exposed to social media and its effect on the industry. They met with industry professionals and toured several area broadcast facilities. Senior Sophie Lewis attended a week-long “Designing the Built Environment” session at the Clemson Summer Scholars program. 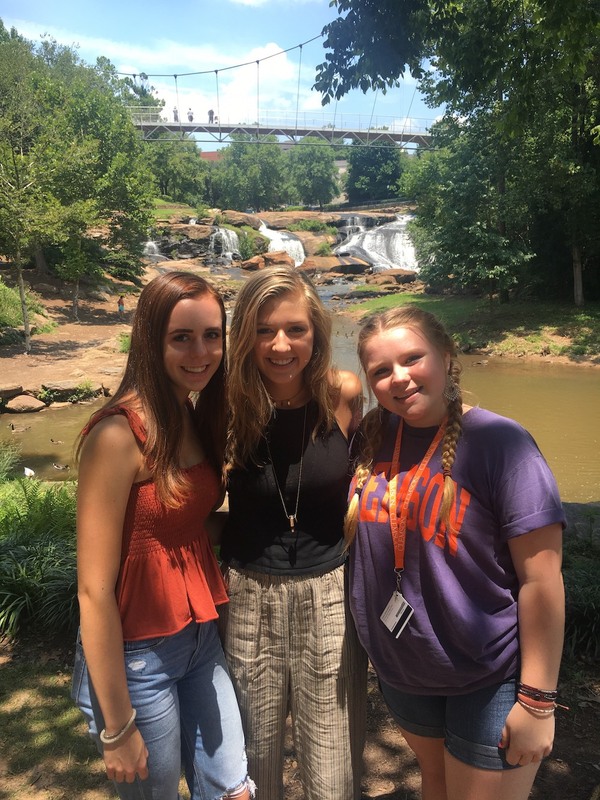 She attended classroom lectures by professors in the Architecture department, sketched and explored design ideas and took a field trip to Greenville where her group visited Falls Park and toured a civil engineering and landscape architecture firm. Senior Madi Mull spent five weeks in the San Pedro de Macoris province of the Dominican Republic with an internship through Freedom Christian School working as a teacher to 3-year-olds and third-fifth grade students in the mornings and at a Bible camp in the afternoons. 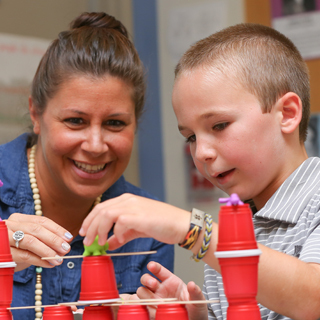 She created lesson plans that included a game for every day using theEnglish vocabulary to engage her students in addition to being responsible for prepping all of her materials. During Bible camp she led worship songs, set up obstacle courses, crafts and helped the children learn Spanish memory verses. Rising senior Nathan Brannon completed his Eagle Scout certification with his final project this spring by resurfacing the picnic area outside of the Early Education Building on campus. He filled the area with new mulch, established a retaining wall and planted three Crepe Myrtle trees that provided an updated place for families to hang out after school. Rising senior Patrick Donnelly earned the rank of Eagle Scout this summer from the Boy Scouts of America. He completed his Eagle Scout project last fall at Providence Spring Elementary. His project included building a pergola, walkway, installing drainage pipes and landscaping. Seven teachers from Charlotte Christian School traveled to Haiti this summer with BlessBack Worldwide to host a week-long professional development seminar for Haitian teachers at Mission of Hope International in Grand Goave, Haiti. CCS teachers led sessions on design thinking, creativity, critical thinking, student engagement, and gamification for close to 50 Haitian teachers. CCS teachers had an amazing time building relationships, sharing their techniques, bonding with each other, and learning about the Haitian culture. The group representing CCS included Debbie Baglia, Julie Bartlett, Katie Billington, Molly Cain, Liz Daniel, Kaylah Holland and Tracy Jackson. 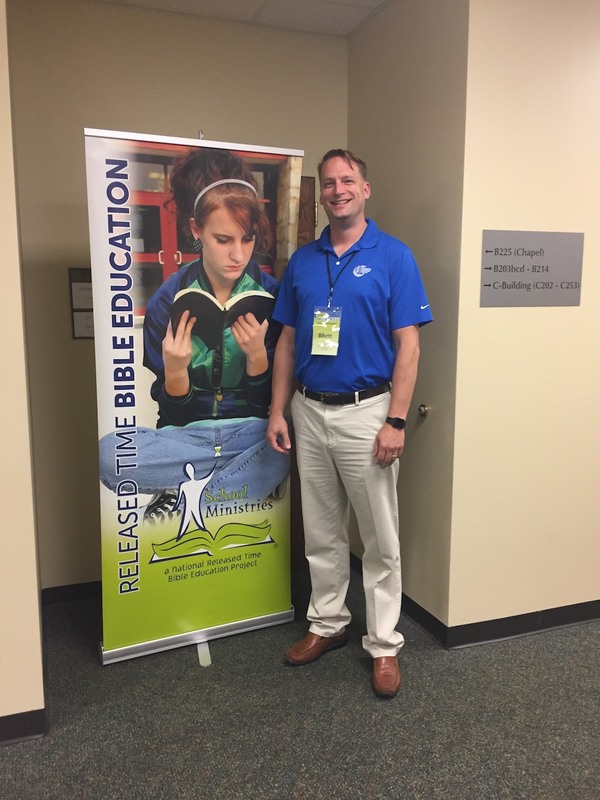 Upper School Bible Teacher Rhett Davis was invited to speak at the SMI Summer Conference entitled, “Teaching students to know the Bible and follow Jesus” in Columbia, S.C.He also shared during breakout sessions at the International Institute of Christian School Educators. 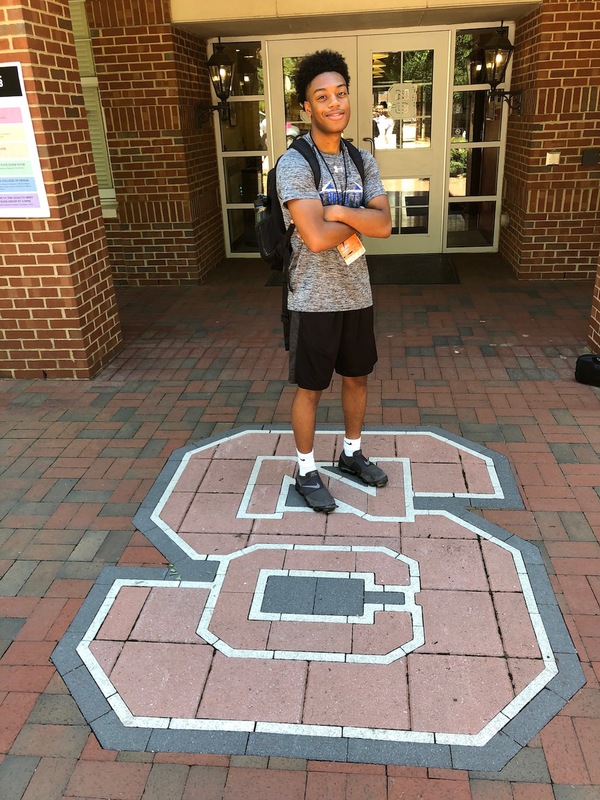 Rising senior Owen Cannon attended the Furman Summer Scholars Business Institute. He joined the business and marketing course taught by a Furman marketing professor. He learned how to track the stock market using a Bloomberg terminal; the importance of a strong brand by analyzing Apple, Michelin, Starbucks, and BMW; information about the global market; and the ethics of business. Guest speakers included Furman professors in the business program as well as a CEO from Barnet and Son Fibers Company headquartered in Spartanburg, S.C.
“Not only did I learn about business and marketing, but throughout the week we also learned many things about how to survive and thrive in college, which I benefited greatly from and will incorporate into my transition into college,” shared Owen. Rising senior Meg Kemmer completed her Girl Scout Gold Award this summer with her project focused on creating an Arts and Crafts Handbook to be used by the YMCA Camp Boomerang program. Camp Boomerang gives children with autism a chance to participate in a traditional summer day camp, and one portion of the camping experience is for arts and crafts. Arts and craft activities are very important learning and development tools in children, and this is especially true for children with Autistic Spectrum Disorder (ASD). Craft activities are a way to improve attention span, self-expression, and reduce anxiety. 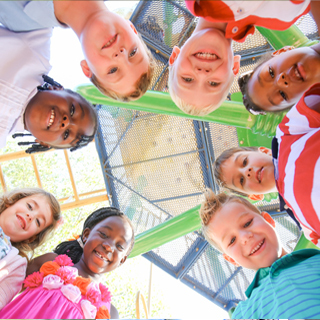 Camp Boomerang is open to children with ASD, ranging from ages 5 to 15, with a wide range of symptoms, skills, and levels of ability and therefore the handbook provides different levels of activities. Ms. Kaylah Holland, middle school technology facilitator, was invited to attend a Certified Innovator Energizer event at the Google headquarters in Chicago. This invite-only event included more than 100 innovators from around the world and consisted of sessions geared toward creating an innovative culture in schools. 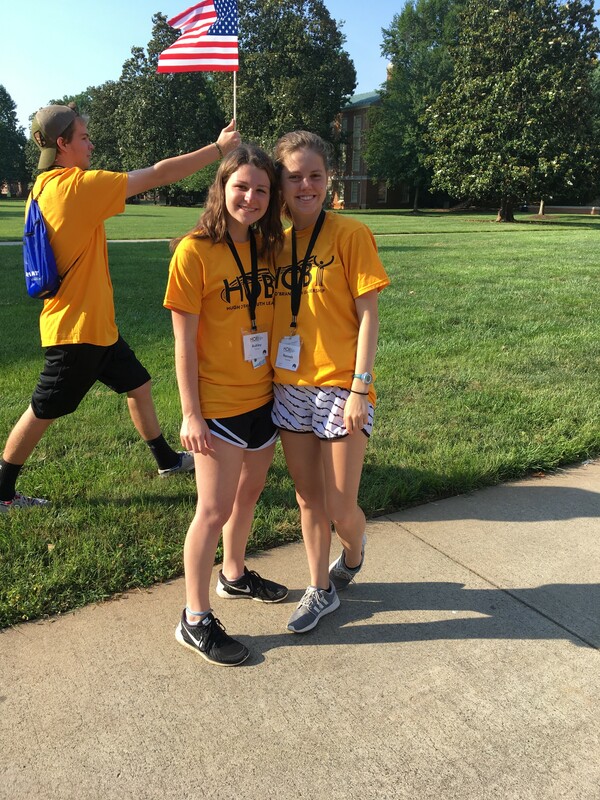 Rising junior Hannah Brandon attended the North Carolina West Hugh O’Brian Youth (HOBY) Leadership Conference at Wake Forest University. During the three-day leadership program HOBY Ambassadors developed their critical thinking skills, learned about their personal leadership styles, and formed an appreciation for community service. They attended panel sessions featuring prominent speakers from government, businesses, media, and educational communities. "I was honored to have the opportunity to represent CCS at the HOBY Leadership Conference. At this conference I was able to expand my knowledge of what leadership is and how to become a leader in the community while participating in team-building exercises." Ms. Kaylah Holland, middle school technology facilitator, had the opportunity to attend a technology conference in Chicago this summer hosted by the International Society for Technology in Education (ISTE). The conference contained keynote speakers, a variety of breakout sessions, an exhibitor area, as well as networking social opportunities. Ms. Holland thoroughly enjoyed this event and is excited to implement various things she learned at Charlotte Christian. 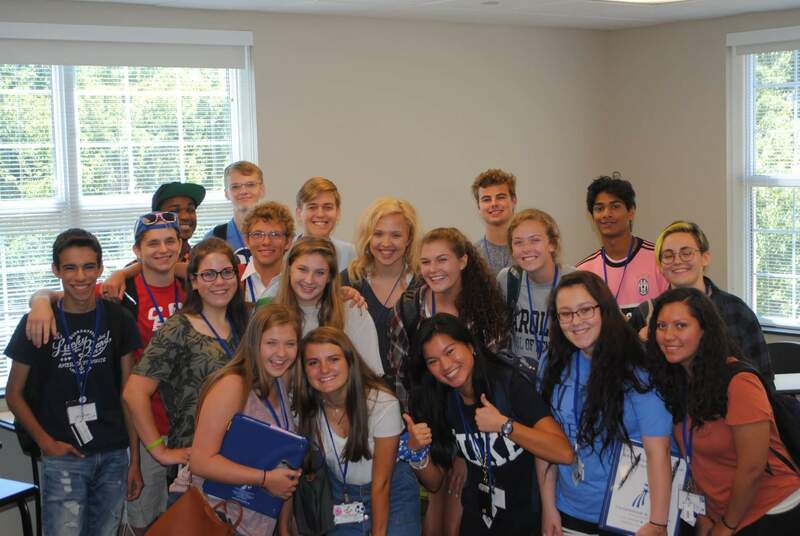 A group of Charlotte Christian upper school students traveled this summer to Japan for two weeks and lived with host families from the Yamate Gakuin School in Yokohama. The students enjoyed sightseeing, exploring, learning and shopping with their host families. They also experienced group excursions that included sightseeing tours in Yokohama and Tokyo, Sea Paradise, and Tokyo Disneyland to name a few. The students who traveled were Nathan Brannon, Annslie Burris, Blake Frasier, Gracie Hinson, Zoe Jackson, Nikole Schuler, Maya Szymborski, and Stephen Trull along with chaperones Mrs. Margaret Jackson, international student coordinator, and Mrs. Susan Jones, upper school Math teacher. "The trip was amazing," said Mrs. Jones. 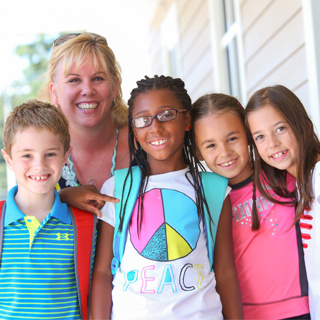 "Our students were stretched outside their comfort zone living with these families that don’t speak English and learned to live in another culture. They are ready to go back and experience it again." 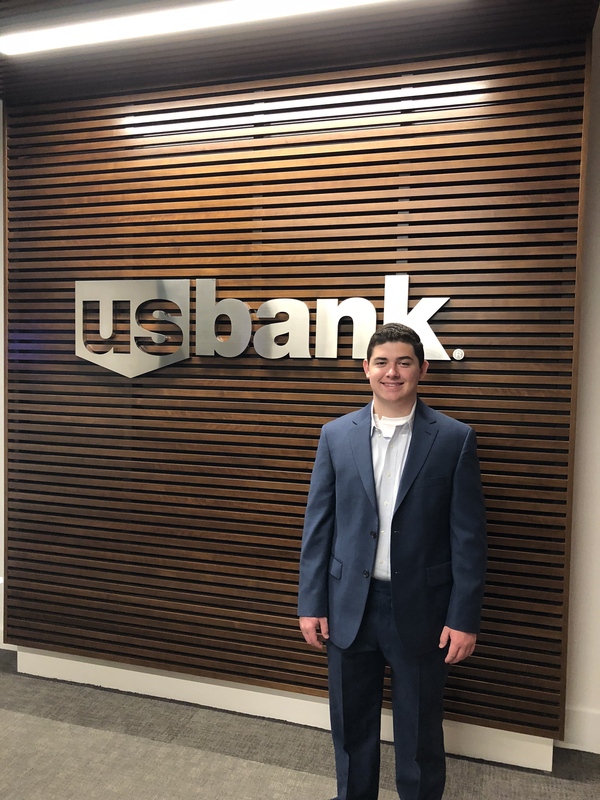 Rising senior Patrick Donnelly completed a week-long job shadow program in New York City. He visited the following companies: Bloomberg, BSE Global, Brooklyn Nets, Coloredge, NFL, Sirius XM and U.S. Bank. He shadowed various employees from each company including the marketing director and creative team at the NFL, executive producer at Sirius XM, operations manager at the Brooklyn Nets, salesman at Coloredge, product manager/salesperson at Bloomberg and salesman/traders at U.S. Bank. Independent Schools of the Central States (ISACS) Academy for New Division Heads in Chicago, Ill.
ISACS New Teacher Institute in Chicago, Ill.
Southern Association of Independent Schools (SAIS) Deans of Students Conference in Asheville, N.C.
SAIS Division Heads Conference in Asheville, N.C.
SAIS Administrative Assistants Conference in Asheville, N.C.
City Academy in St. Louis, Mo. A group of Charlotte Christian upper school students traveled to Spain June 2-18 for a language and cultural immersion trip. They spent two weeks in Salamanca, Spain and attended classes in the mornings and participated in a variety of socio-cultural activities in the afternoon. The students attended a language school affiliated with the University of Salamanca and received academic credit for their course. Adventures in the afternoon included walking tours, a tapas tour, a visit to a bullfighting ring and even a flamenco dance lesson. There were lots of activities around the city as their time in Salamanca coincided with the 800th anniversary of the University of Salamanca and the opening of the World Cup. The group also visited the cities of Avila, La Alberca, Madrid, Mogarraz, and Segovia. During their time in Salamanca, the students and chaperones stayed in homes with host families to give them a better perspective about the Spanish culture. 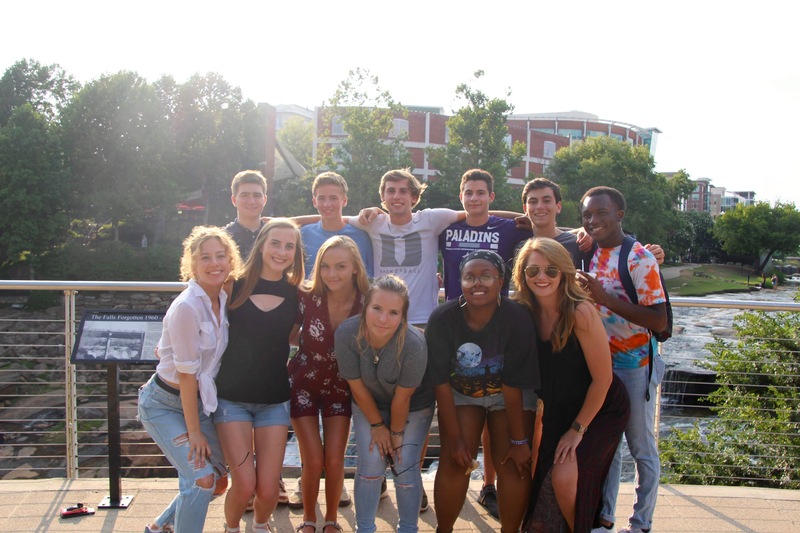 The students who traveled were Ansley Allison, Moise Bennett, Lloyd Glenn, Nadine Hart, Jack Littlefield, Garrett Michaud, Lauren Poynter, Lane Rabon, Julian Segovia, Andrew Wallace, and J.D. Williams along with chaperones Mrs. Angelina Ferrari Segovia, middle school Spanish teacher, and Mrs. Allison Tarwater Reeves, upper school Spanish teacher. 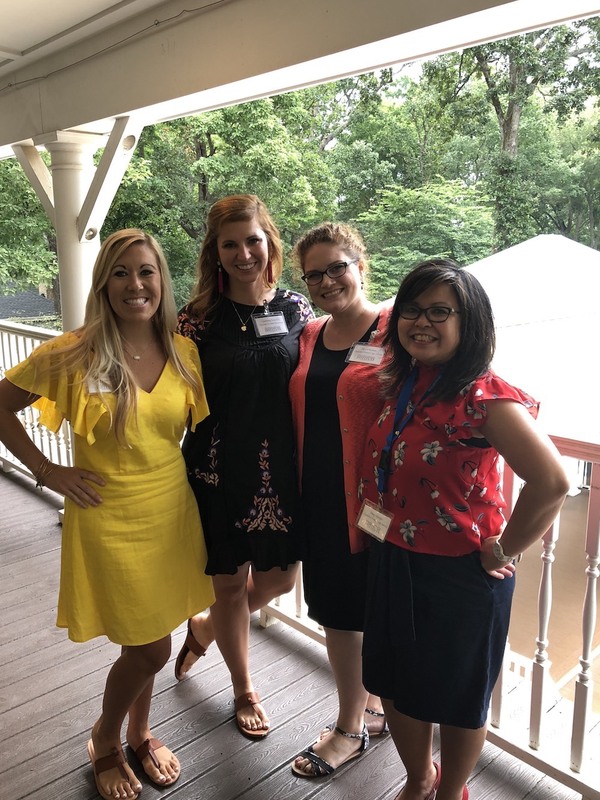 Four faculty members represented Charlotte Christian at the 2018 Teaching Fellows Institute held locally at Whitehead Manor. Mrs. Tiffany Ivey, third grade teacher; Ms. Courtney Broocks, kindergarten teacher; Mrs. Allison Reeves, upper school Spanish teacher; and Mrs. Diep Stamps, middle school science teacher, attended the symposium. The theme of this year's symposium was "Learning Mindsets: Helping Students Succeed By Promoting Adaptive Beliefs." TFI supports teachers by enhancing their knowledge about the art and science of teaching; sharing best practices with experienced colleagues; and understanding and enhancing their personal leadership skills. 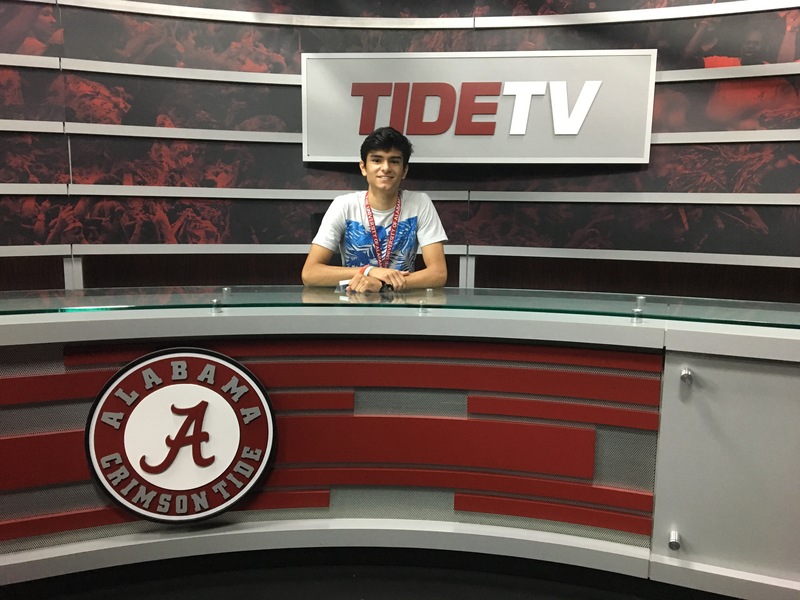 Rising senior Brian Segovia attended the Communication and Media Preview (CAMP) at the University of Alabama.CAMP provides high school students with the opportunity to discover and create stories. 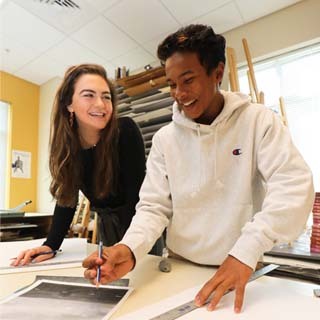 Students practiced skills and improved their knowledge related to the fields of communication and media, developed connections with aspiring communicators, and became familiar with the college experience. Brian was able to work with cutting-edge technology alongside the nation’s leading experts in areas such as advertising, communication studies, creative media, news media and public relations. He had the opportunity to produce original work to help gain support for the University of Alabama gymnastics program. 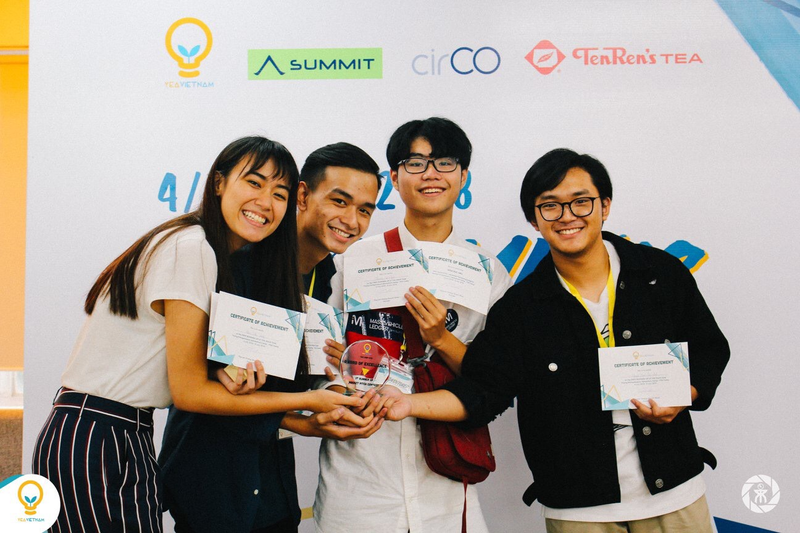 Senior Tracy Pham attended an English-based Young Entrepreneur Camp this summer in her home country of Vietnam.The teams were charged with creating a start-up idea and a prototype to present in a Shark Tank-style session with real investors. 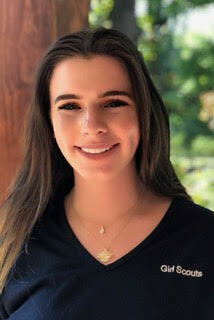 Her team earned second place in the competition with the product, H-ATM, a health ATM for patients to participate in quick tests for vision, hearing and touch.The camp was hosted by the non-profit organization Young Entrepreneurs Adventures. Rising senior Claire Burch spent a month serving on work crew at Saranac Village, a Young Life camp in upstate New York. 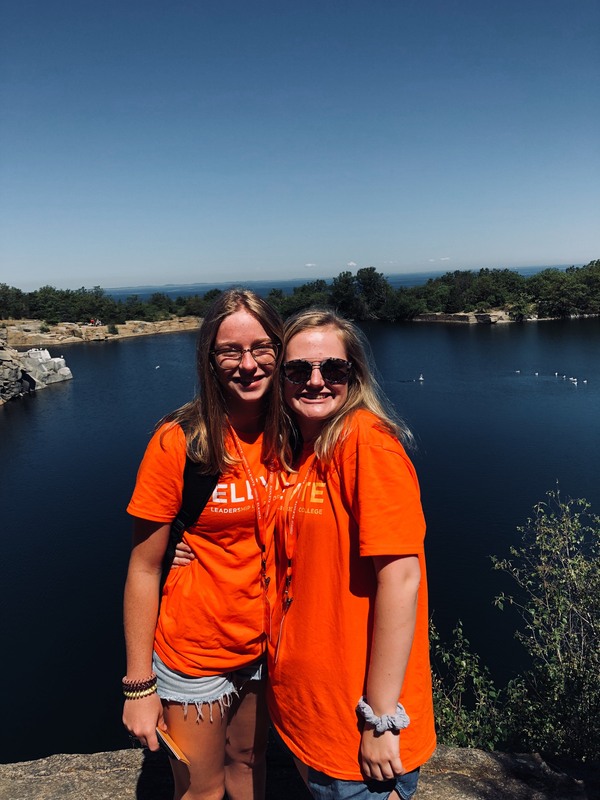 Claire’s primary role was to serve and then clean up daily from breakfast, lunch and dinner for more than 300 Young Life campers during three, week-long sessions and set up for camp-wide special events throughout the week. Prior to the first session, work crew members spent time preparing the camp to welcome campers for the summer. To be eligible to serve as a work crew member, Claire, along with students from other high schools in Charlotte, completed a training course last spring led by the local Charlotte-area Young Life staff. She submitted an extensive application and had to be recommended by a member of the area Young Life staff. 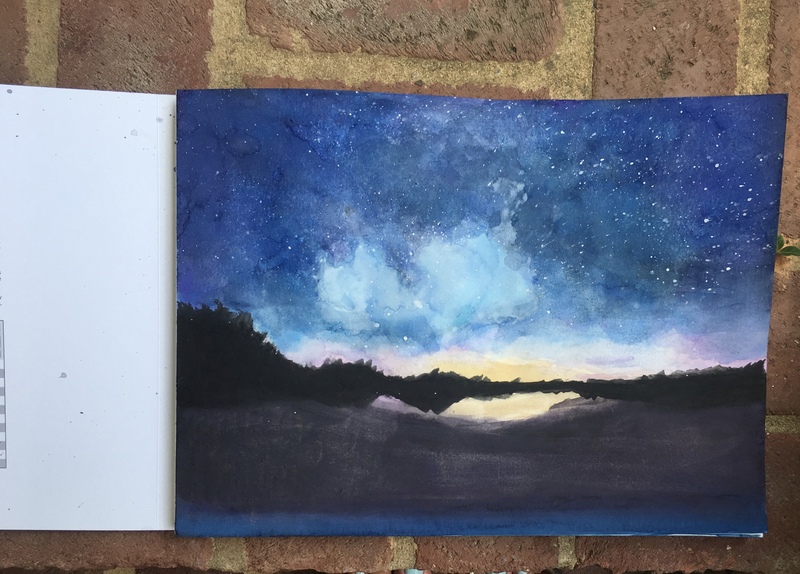 A highlight for Claire during her time at camp was delivering a special snack once a week to a cabin of girls during their nighttime devotions after which she was able to share with them what God is doing in her life.